The forecasted rain came in overnight and it rained lightly through the night. I slept awesomely with the sound of the light rain and cool temps. 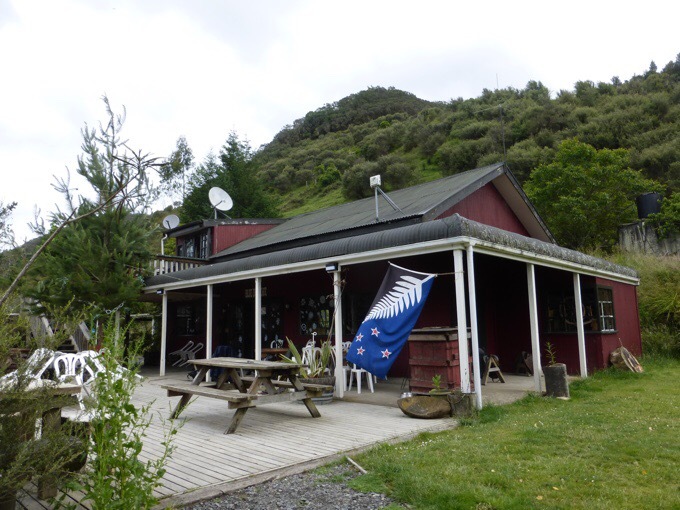 We were in no hurry to leave in the morning because we a had relaxed day ahead to get to Whakahoro, where we will get our canoes tomorrow morning to begin the river section along the Whanganui River. We set off at 8:40am with light rain falling. I am bummed to no longer have my umbrella (I have one ordered). I really don’t like being cold and wet, and I looked in National Park for a poncho (sold out) or umbrella (too small/expensive) and ended up finding a trash bag along the walk yesterday that worked great today! It gave me just the extra warmth and protection I wanted on my core. If I can have my core mostly dry, I’m a happy camper. Yes, my Montbell Torrent Flier rain jacket is awesome, but all rain jackets eventually soak through after a full day of rain and I’ve had this one for multiple thru-hikes, so it’s well worn. We had about 5hrs of hiking along the road as it wound its way down the valley. Again, it was great scenery and smooth travels on the wide road path that is also a bike trail. 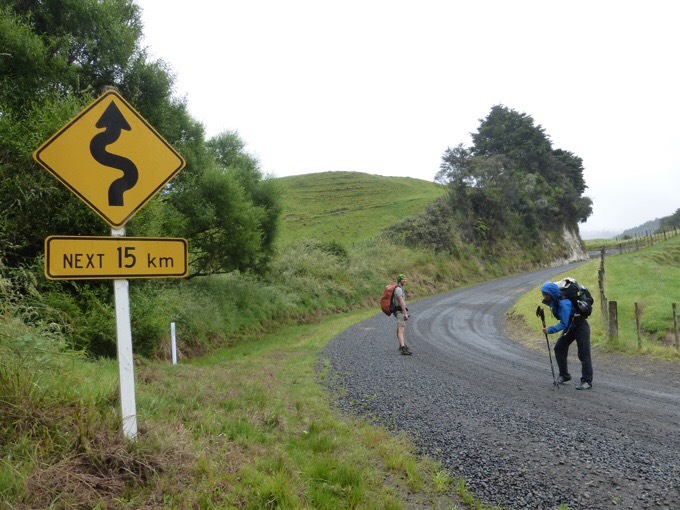 Calvin doesn’t usually hike roads and hitched to Whakahoro while the five of us continued on. Two other Swedish gals that we’ve overlapped with also hitched. The morning went by pretty quickly and it was a nice walk. 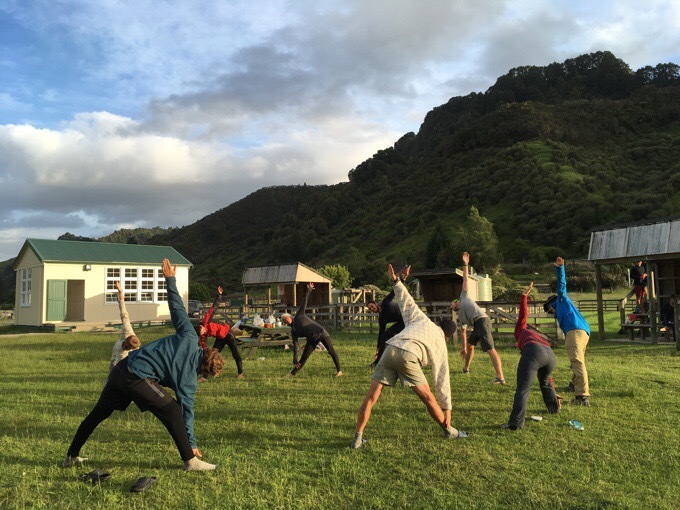 There is hardly any traffic on the road other than the handful of canoe companies with trailers of canoes that go down to Whakahoro each morning and back to launch a new wave of people onto the river. We had a variety of strategies for entertainment. Becky and Tom led the charge, both long legged and fans of heavy metal and rock, they had fun matching strides and pushing a faster pace sometimes running the downhills. I enjoyed the entertainment of a faster pace and needed to jog at times to keep up with those legs. With our light packs, we even had fun breaking into sprints on some of the downhills. As a group, we did some of the book of questions We downloaded in Taumarunui. The book has over 1,000 questions that vary in topic and intensity. It’s a fun way to get to know one another. For example, we learned that Ned is 31yrs old and has no interest in ever driving a car and Tom’s nickname with family is often TA (Thomas Alexander) which is funny considering we are on the TA. A fun question we had was, “Using just one word, what was the first impression you had of each other.” Though some words were uniquely situational in a very first meeting, they are pretty good for describing everyone. 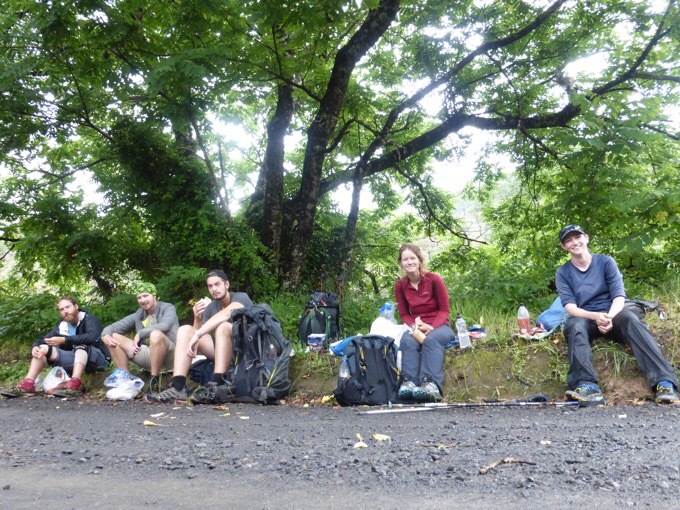 Lunch along the road. Ned, Tom, Frits, Becky, Me. We got to the tiny village of Whakahoro at 2pm. 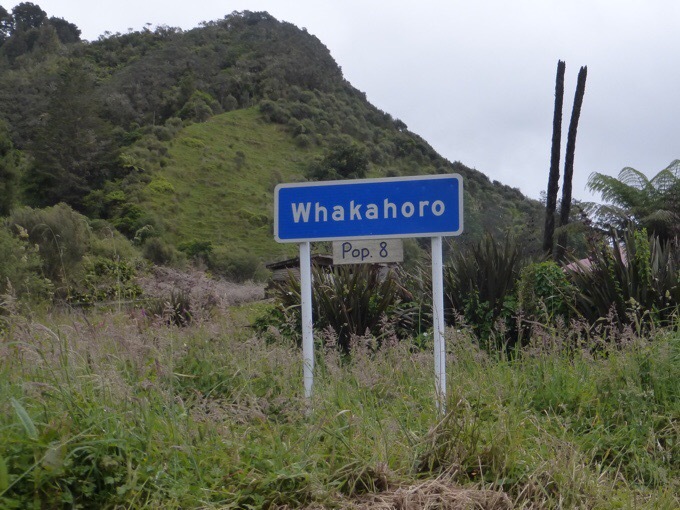 The sign walking into the village says population 8, but I later heard it’s really only 2 people that live in Whakahoro proper, haha! There was a nice cafe that gives every TA hiker a free soda. Becky has done an awesome job of cutting back on the soda, and only has a bit in town sometimes, but was lucky enough to get two today since I don’t drink soda. I did get a great hot chocolate that hit the spot on this rainy day. They even had wifi for an expensive price, but we all couldn’t resist knowing it may be five days before we get service again. Becky, Tom, Frits, Calvin, Ned. 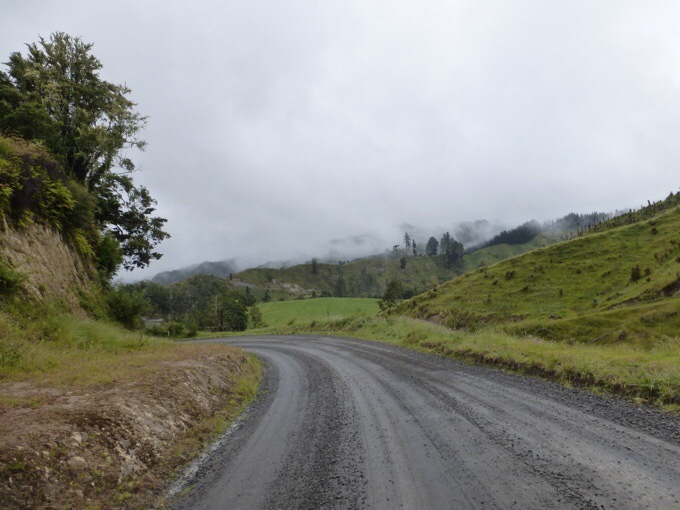 While we there, a canoe group of TA hikers we knew came through that had chosen to leave from our last town of Taumarunui to get a couple more days on the river. Also, there were some general tourists and others doing the canoe. As we were setting up our tents around 5:30pm, the rest of our crew of Matt, Laurel, Heartbreaker, and Vittoria arrived. They had chosen to do the Tongariro Crossing the day before us, so we’ve been just off from one another and knew we’d meet up today. They had a surprise for me. 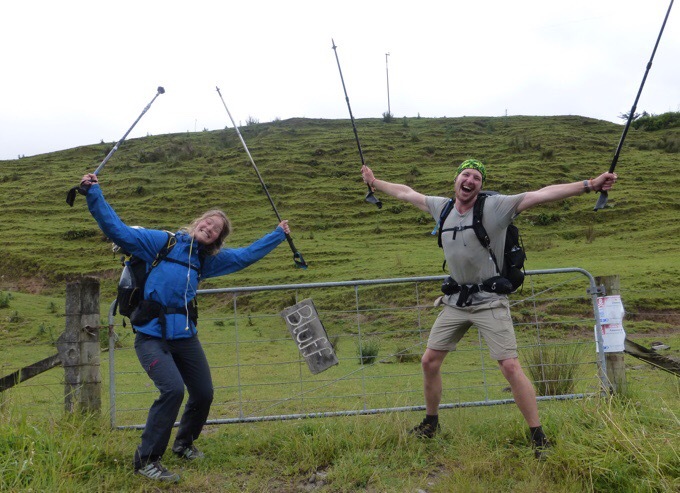 Since we shuffled the legs around, and did the section after the Crossing before doing the Crossing, they did that section after us…and found my umbrella!!! We had sent them a group message to keep an eye out for it. It was lying in the middle of the trail near where I thought it would have fallen when I put it down to take a photo, but it seems maybe someone had moved it and hiked in a bit to then lay it in the middle of the trial. Yaaayyyy!!!! Even better, they are a silly group and they did a whole silent film (now on my Facebook feed! )featuring the umbrella for all of us to watch. Before even telling me they had the umbrella, they just showed me the umbrella. It isn’t the most appropriate to publicly post, but it was so funny and theatrically them! There are so many uses for that umbrella that were quite entertaining, including digging a cat hole with it and using it as tissue, sword swallowing, a dancing partner, and a male appendage that isn’t an arm or a leg. Yep, these are some specially awesome people to be so creative and entertaining! So not only were we all reunited, I was reunited with my umbrella as well! Happy day!!! 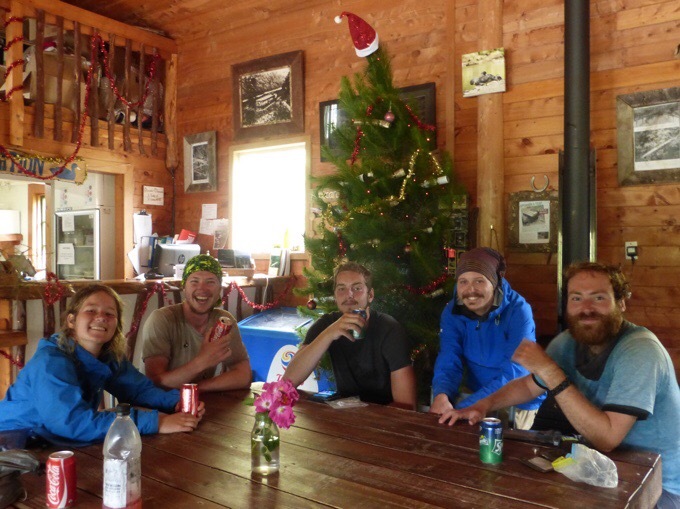 There are a total of 14 TA hikers launching tomorrow morning and we all ate dinner together. 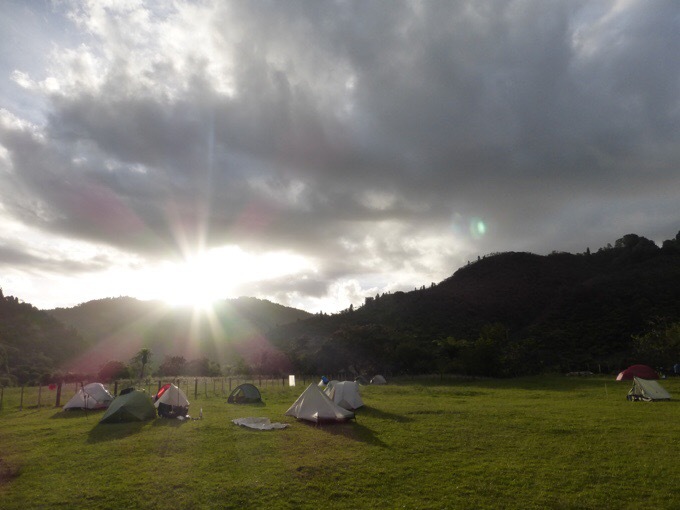 I think we all have booked the same first two campsites that you have to book ahead and pay $20NZ/$15US per site. Then it is freedom camping (that’s what they call non-paid camping in NZ) the last two nights wherever you find a spot. The cord fell in the photo, but I like it still. The group is a cheerful, sociable, and kind group that I’m very happy to be around. It’s a lot to be around, and is draining for me more so than the hiking to be around so much social activity. I’ve been pretty tired lately as there is a lot less solo time in my head to reset, but everyone is great and it’s good for me to challenge that side a bit. We ended the night with a great yoga session from Laurel, who is certified to teach yoga and is awesome at it! It was a spur of the moment random combo of things for about 45min, and it was good to stretch out and do something as a group to end the day. We are sure to be sore after canoeing and Laurel has promised a more formal class hopefully in the coming nights. Vittoria and Frits are almost the same height when Frits is on his on his knees! Ok, here’s my best description of the Whanganui River section we are headed into. 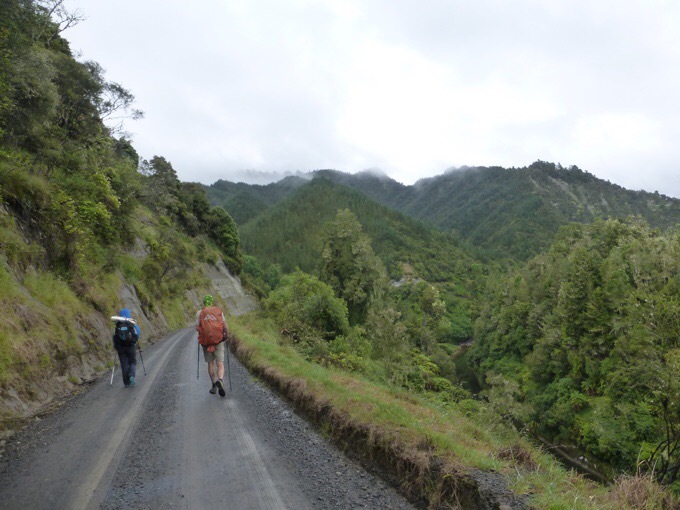 The official TA track does involve a canoe down the Whanganui, which is also one of New Zealand’s 9 Great Walks. Somehow, people who know nothing about canoeing can just rent canoes and go down the river, stopping at campsites along the way, just like thru-hiking. There are options of canoes or kayaks, but the bigger the group, the cheaper it is. We went with Blazing Saddles. 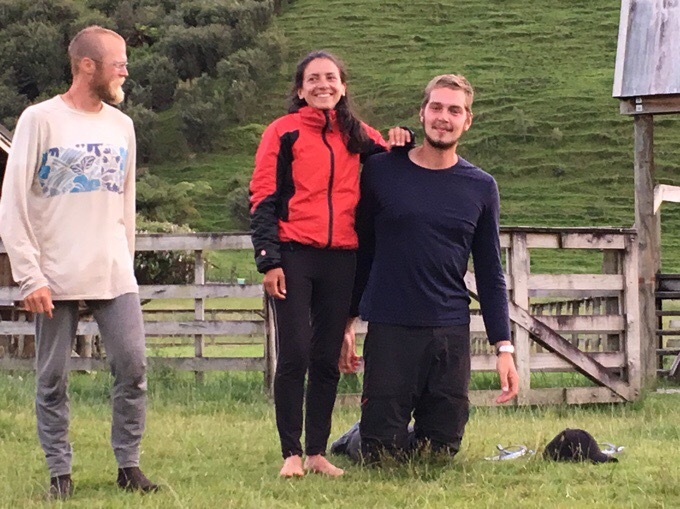 They can launch up to 18 people, and once the group exceeds 10 people, it is just $100/person for however long we wish to paddle from Whakahoro. Our group seems to be around 14 at the moment. There are various entry points depending on how much hikers want to be on the river. This is the vaguest section as far as what the TA considers to be “official.” The official trail notes describe one thing, and the GPS track shows another. What I can say is that I know of no one who has launched from where the trail notes and track describe. The trail notes have it at a spot where there isn’t road access (Mangapurua Landing), so a jetty would have to be hired for hundreds more dollars to bring the canoes upstream a great distance. I asked a local why that spot would be chosen as the official route if it was so logistically complicated, and they said it makes no sense and maybe it was to bring in more revenue for the canoe company that would do the jetty. There is a way to walk all of this if someone doesn’t want to canoe, but I also don’t know of anyone who does this. Everyone is quite happy to have this unique experience along one of New Zealand’s Great Walks that happens to be on water. 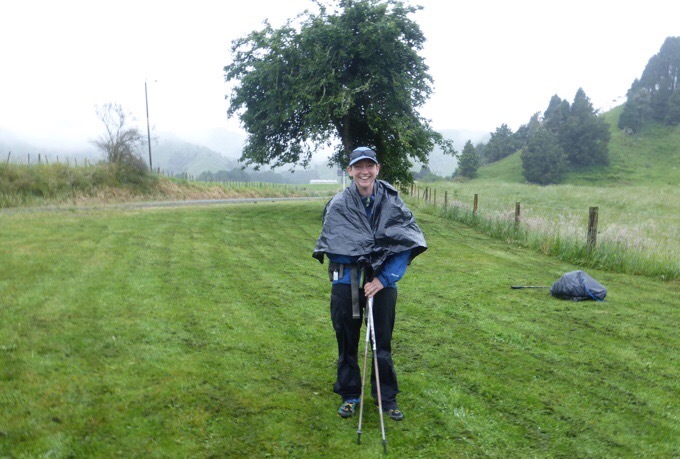 From what I understand, the official Whanganui Great Walk Journey starts at Taumarunui. 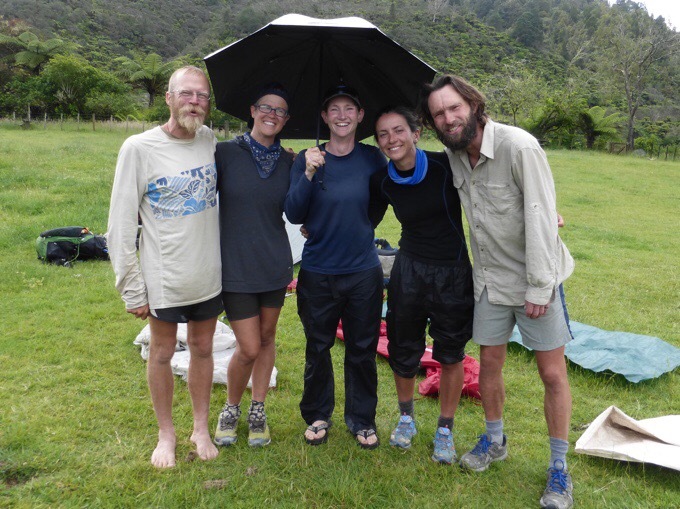 Some hikers choose to canoe 5-8 days from there to our next town of Whanganui. 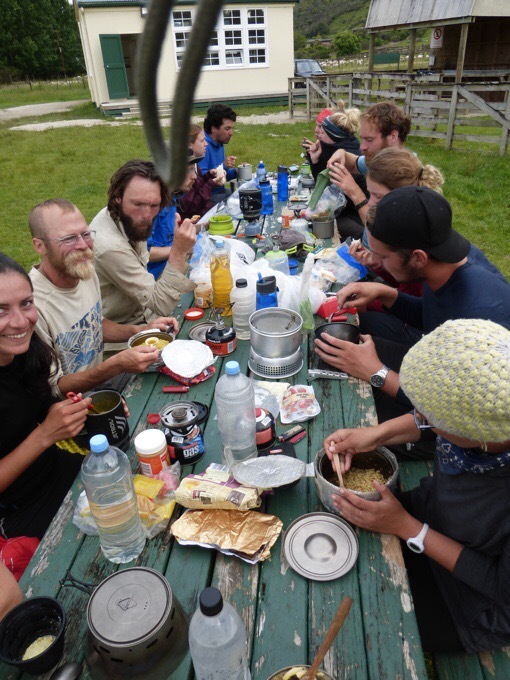 For TA walkers, if they leave by canoe from Taumarunui, they are by-passing the days of trail that we’ve done since Taumarunui including the 42 Traverse, the Tongariro Crossing, and Fisher’s track. Those that choose that option save days of hiking and often do the Tongariro Crossing as a day trip before setting off on the canoe. 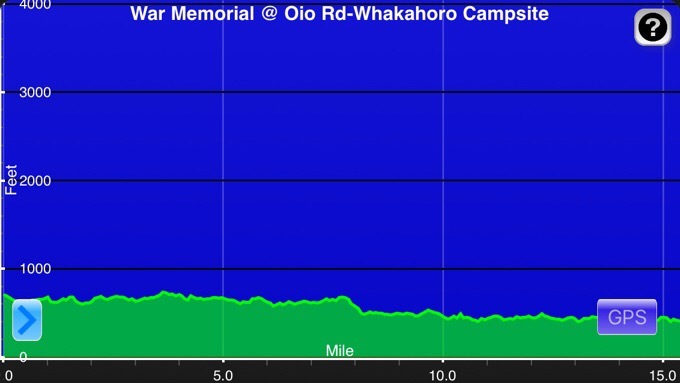 The option we chose is to enter at Whakahoro. It is the option that has us able to walk the most of the official track and still do the canoe without having to pay an arm and a leg to get canoes jettied up. It would have been one more day of walking along the river to get to the remote spot described in the trail notes. We will be on the river for four nights and will exit the fifth morning to be in Whanganui the day before Christmas. 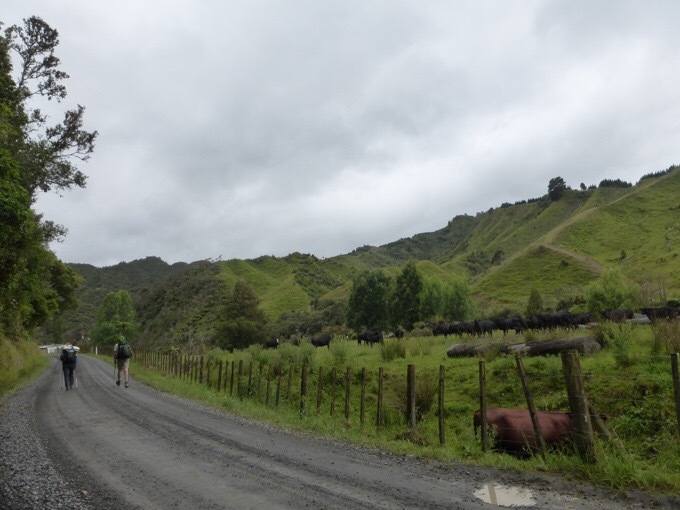 For the sake of information, I’ll add that the official route on the trail notes describes the canoe as ending at Pipikiri, which is the end of the Whanganui National Park and where the official Whanganui Great Walk ends. Confused yet? Well, Pipikiri is a two day canoe from Whanganui, and I don’t know anyone that lands there either. It seems everyone just continues on in the canoes to Whanganui where we land right at the Whanganui Holiday Park. 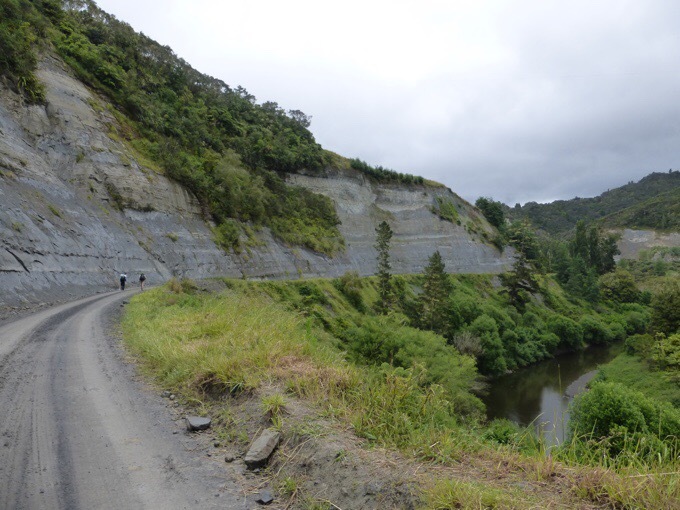 The trail notes say people can choose between walking, canoeing, or even biking that two day stretch into Whanganui. Whew, hopefully that all makes sense. Tomorrow the river fun begins and it looks to be a great clear weather day to kick it all off! *One more reminder that I may not have service once on the river section, so it may be up to five days before I will get the posts up, but no worries, and you can see the progress on the “Where’s Wired” tab. You have now mentioned three times that this guy Calvin hitches the road! Good for him. Much safer that way. Pedestrians shouldn’t be walking our roads. Apart from anything it’s distracting and potentially dangerous for the drivers too. Yeah but the whole point of the thru hike for many, including Erin is to walk the TA. If you take car rides then you haven’t walked the length of NZ. The TA Trust is trying to get more of the trail off the roads but its not possible in all cases. Hitching is not always safer – especially as a woman. Yep, way more goats than cars, ha! I do mention all this hitching because it is an honest part of this trail and almost daily occurrence. I tend to tell it like it is and this is what it’s come to out here. And I do want to point out that most these roads are actually nice country roads with little traffic and are completely safe. Some are just like wide dirt trails even. The road I’m referring to had no cars except the five canoe companies that drive down to bring the canoes and know walkers are there. Those that hitch that road don’t hitch for safety and even Calvin will tell you that’s not why he hitched it. I mention factual parts of the day and was impartial about it. The fact is that many hitch and I can factually say where that happens since many who read this are interested in doing the hike and possibly considering hitching as well. Mangapurua Landing is a good place to stop on your way past, and do the short walk over the hill to the Bridge to Nowhere and back. 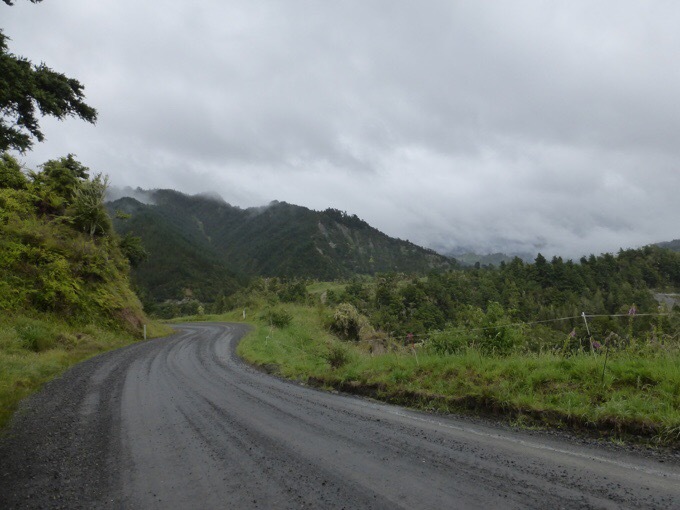 But, no, wouldn’t want to start the trip from there – the best of the river is between Whakahoro and Pipiriki. Awesome .. you have your umbrella ! What a wonderful group of people you are sharing the adventure with … you have woven a tight bond which I think will be difficult to break ..I predict more adventures await you in the years to come , with these fellow hikers . As usual , an entertaining and informative post -thank . The next “step ” of the journey is going to be interesting . Stay safe . 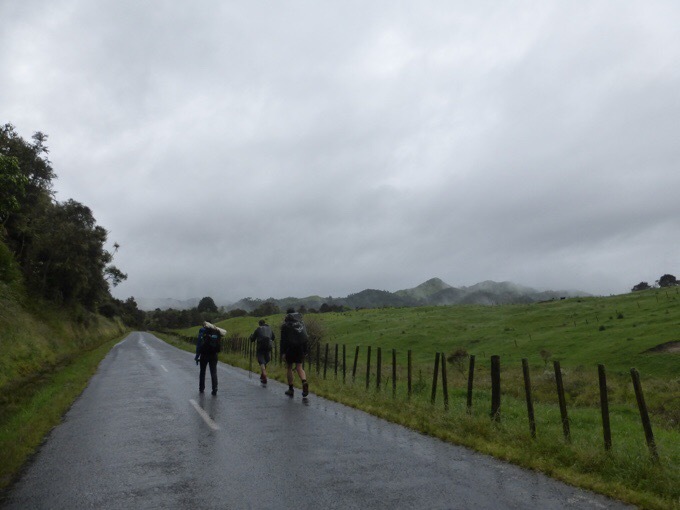 What about hiking south Pureroa -> Taumarunui -> 42 -> Tongariro (and sides if weather enabled) -> National Park, then hitching north back to Taumaruini for canoe-ing down to Whanganui ? So easy looking the map. This would be my recommendation if you can afford it, especially if you’re not too concerned about being a purist. As mentioned in this post, sticking faithfully to the trail through this section is nigh on impossible anyway. I remember the river being at its most scenic and fun (rapids etc) between Taumaranui and Pipiriki. After Pipiriki it flattens out considerably with no real rapids to help you along and often the tide working against you too. That is totally doable as well. Instead of Planes, Trains, &a Automobiles you have feet, cars, and canoes! Have a blast celebrating holidays at Holiday Park! Happy/Merry! I so loved reading this “There are so many uses for that umbrella that were quite entertaining, including digging a cat hole with it and using it as tissue, sword swallowing, a dancing partner, and a male appendage that isn’t an arm or a leg. Yep, these are some specially awesome people to be so creative and entertaining! So not only were we all reunited, I was reunited with my umbrella as well! Happy day!! !” Doing it with friends and having as much fun as you can is really what it is all about. Go!Erin!Go! Forgot to mention you’ve been pretty blessed with lost stuff finding you again! Yes, really fortunate with that on this trip! Happy Reunion with the umbrella!!!! Seems like once the hitching begins it kind if takes over, even for the safer back roads. So glad you have your umbrella back and I love the 1000 Questions ideas!!! Thanks for sharing the day’s events- I’ll definitely be using 1000 Questions for my next trip. Cheers!